There's a 50% chance youâ€™re reading this on a phone. That's because 50% of all emails are opened on mobile phones. Equally, 50% of your customers are viewing your website on their phones. But if your site is one of the 90% that are either not mobile friendly or not mobile optimised, you're losing up to half your potential customers - every day. 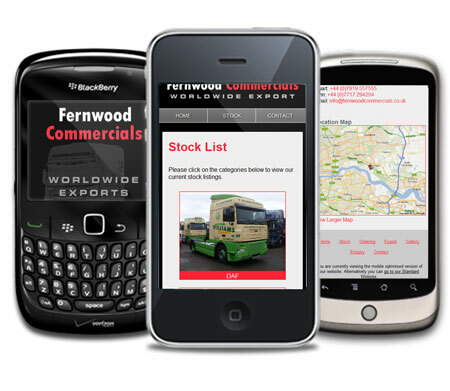 We recently went live with an new mobile web-app for Fernwood Commercials, offering improved user experience for the growing Mobile Internet. Fernwood Commercials are based in Essex and provides a wide range of quality new and used Commercial Vehicles.